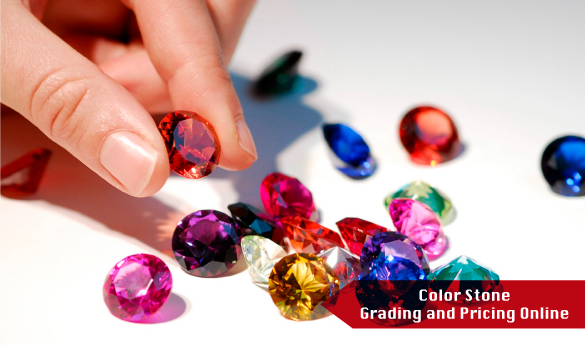 This course provides students with a grounding in the assessment of color, clarity and cut for a large number of colored gemstones, emphasizing how such factors affect their values in an ever changing marketplace. The opportunity for extensive practice is provided through AIGS’s vast sample collection, which includes a wide-range of gem varieties and qualities. Theory Certificate: In case student does not have time to do the practical lab. Student can do only theory online at home and get certificate of Theory. Student can also do practical on campus at a later date (current fee at the time of enrollment) and receive the certificate of completion for full course. 6 Nov - 12 Nov, 2019 Register Now! Assessment, the level of quality, precious stones, jewelry industry, study colored stone online.